When Was The Last Time You Went Diving? Learning to scuba dive requires mastering certain skills and remembering specific rules. And diving safely requires remembering those skills and rules. However, lots of certified divers leave large periods of time between dives. Months or years may pass between dives due to financial or family circumstances, or you may only dive once a year on an annual vacation. In any case, if you haven’t been diving for a while, it’s wise to take a scuba refresher course. In addition to reviewing the lessons taught in open water certification, your instructor will also update you about any new training techniques or materials that may have been introduced since you received your certification. A dive refresher course is also a great way to test your equipment if it hasn’t been used in a while, or if you have just received your gear back from being serviced. The last thing you want is to be out at sea and realize there is something wrong with your equipment! Dive computers also bear special consideration, as each has a subtly different display and user interface. If you’ve treated yourself to a new dive computer, 100 feet underwater is not the place to try to decipher the display for the first time. Instead, take it for a test dive on your refresher course. Learn how the display presents information in a controlled environment. 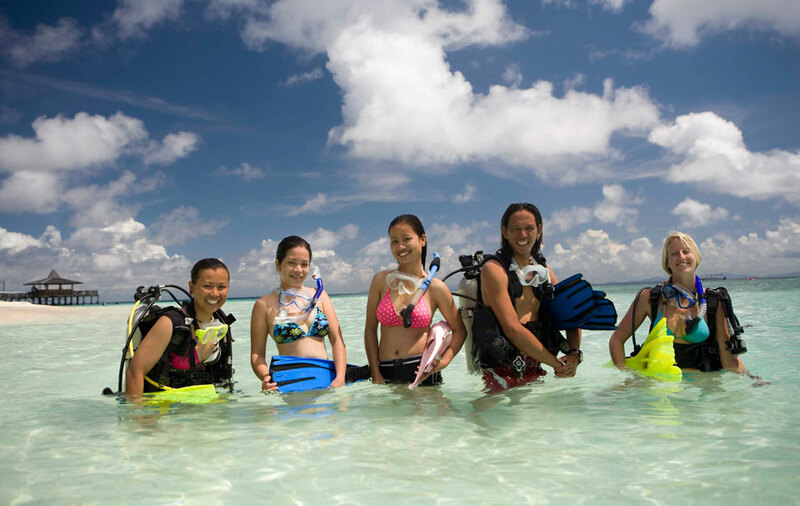 Taking a refresher course before going on a dive trip can also save you valuable vacation time. 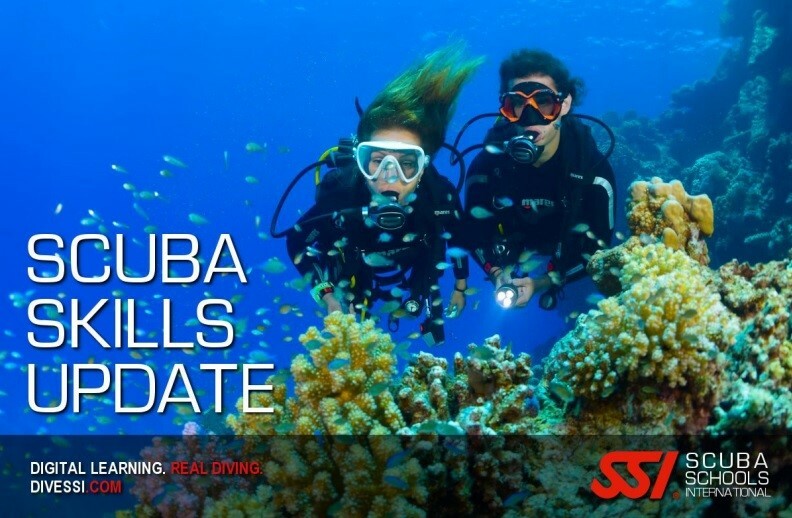 Many conscientious dive centers will, sensibly, insist that a long-inactive diver takes some form of scuba refresher course or checkout dive before attempting more challenging dives, no matter what their qualification. Don’t spend valuable time on your dive trip doing a refresher in the pool or lagoon with the local center when you’d like to be on the offshore pinnacle — arrive pre-refreshed, up-to-date, logbook stamped and ready to go. If you’re planning a dive and are feeling a bit rusty, contact Just Add Water for a quick brush-up. A dive refresher course is fast and simple, and will renew your confidence in the water along with your skills.